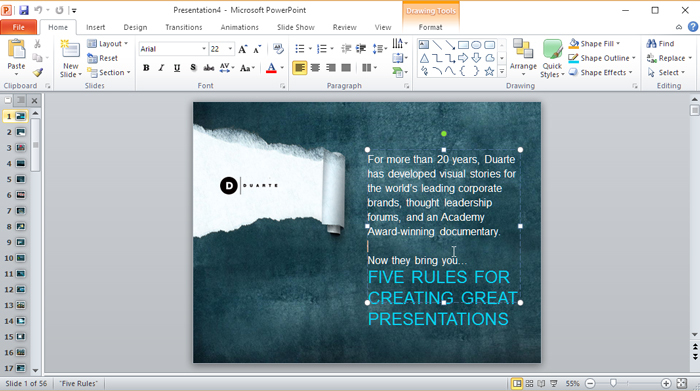 Using Microsoft PowerPoint you can create your presentation from scratch which you can customize all the details that you want. But, if you’re a beginner it is advisable to create your new presentation based on the template available. The template already defines almost all the settings needed in your presentation, from background color, font style, size, bullets and numbers which match with the design. You can select on the templates available or download from office.com. To create a new presentation based on the template, open the PowerPoint Click File > New then select the “Sample Template”. For those who are using Office 2007 or older version, instead of File, click the office icon. After you click the “Sample Template” it will reveal all the template available that you can use in your presentation. Select which template that best fit on the topic of the presentation that you want to create. To start, click the create button. Now, simply edit all the entries with all you the data in your topic and you have a beautiful and professional look PowerPoint slides that you can present. If you can’t find a closest template that will match on your topic or what you need, you can select a template that has a little match and modify it. 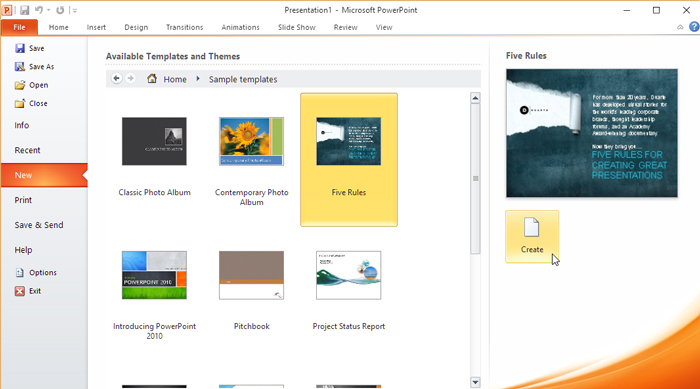 You can also search for PowerPoint templates which sometimes available for free download.